Interested in developing QUESTIONING? 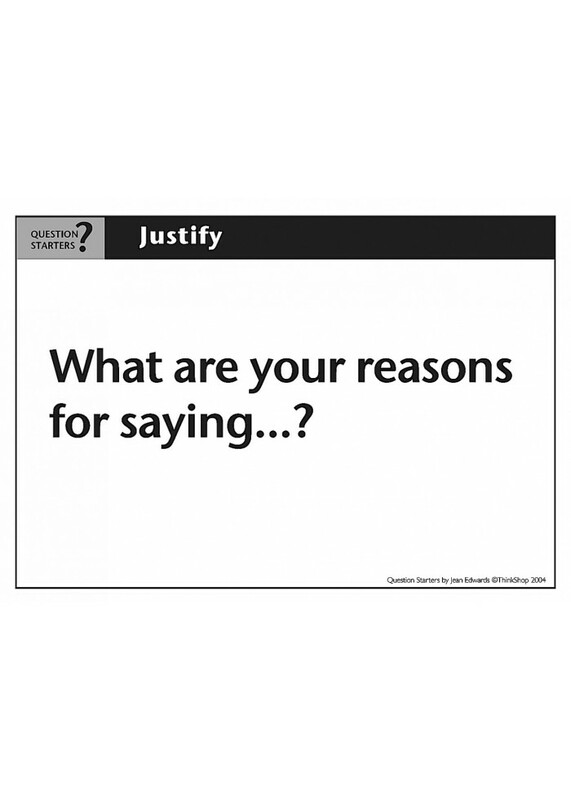 Want to get teachers and students asking thoughtful and rich questions? 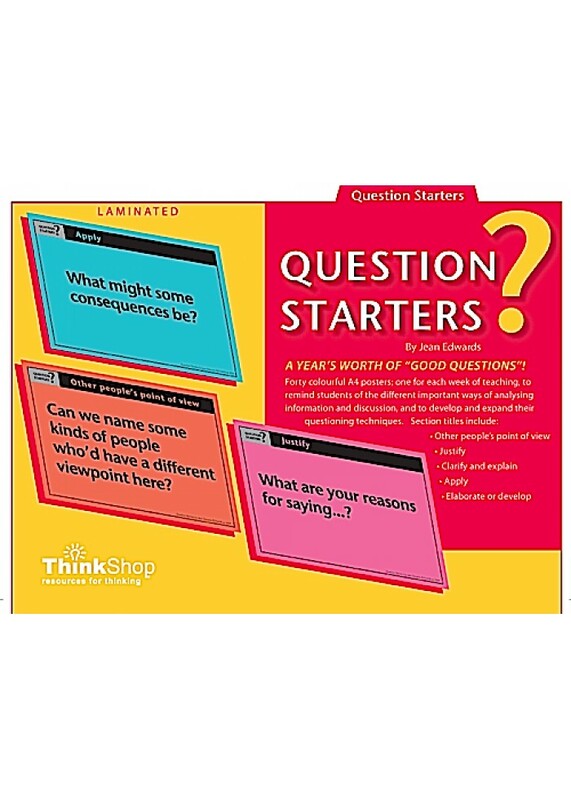 The ebook version of the set of Question Starters ready to go - print them out yourself on different-coloured card and save! 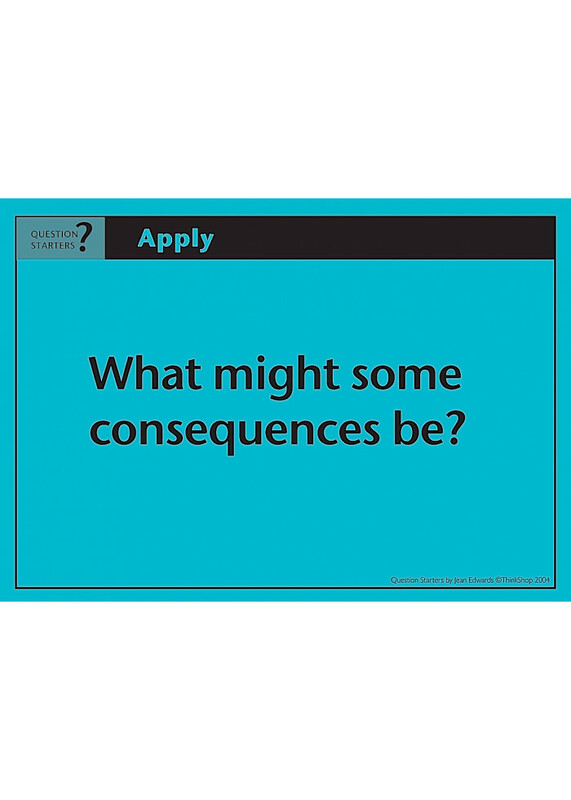 Makes forty colour-coded A4 posters; one for each week of teaching, to remind students of the different important ways of analysing information and discussing, and to develop and expand their questioning techniques. Other people's point of view. A year's worth of 'good questions'! TIP: print them out on different-coloued card per section for easy identification, then laminate for years' and years' worth of use! Samples: Is a timetable an advertisement? Is a church notice an advertisement? Is a uniform an advertisement? And heaps more provocative and discussion-stimulating questions! .. Samples: Is the sign outside your school an advertisement? A butcher's sign? A song? A sports team?.....One of many great testimonials for these sets:"My staff have been using these in their classes..